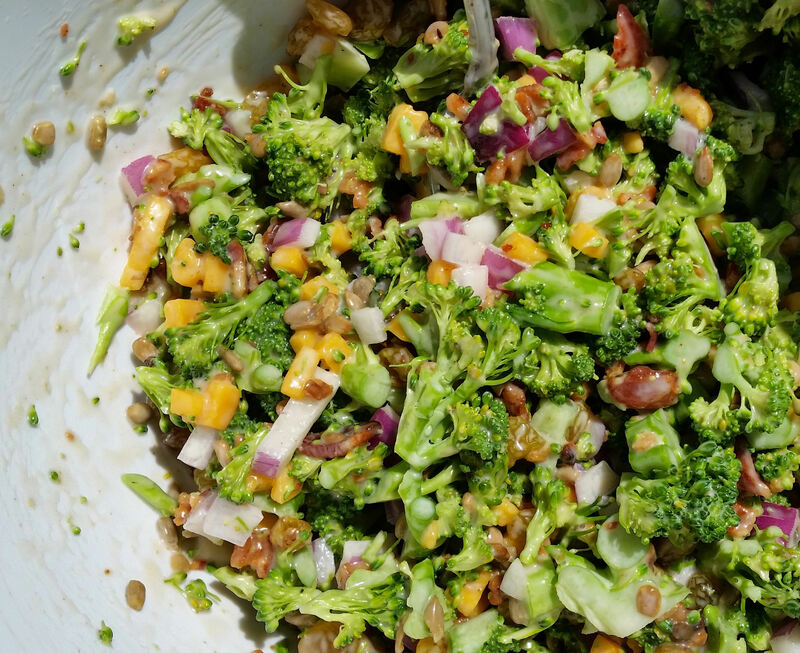 I first tried broccoli salad when a friend brought it to my summer potluck party. I thought it looked far too healthful to actually taste very good and was rather pleased later when it proved me wrong. Long after the party, as my husband and I were sampling the remaining dregs of wine and putting the leftover food away, I found the broccoli salad and decided I should at least try it. Don’t get me wrong: I like broccoli – both raw and cooked – but for some reason didn’t expect much from the salad. Was I ever wrong. 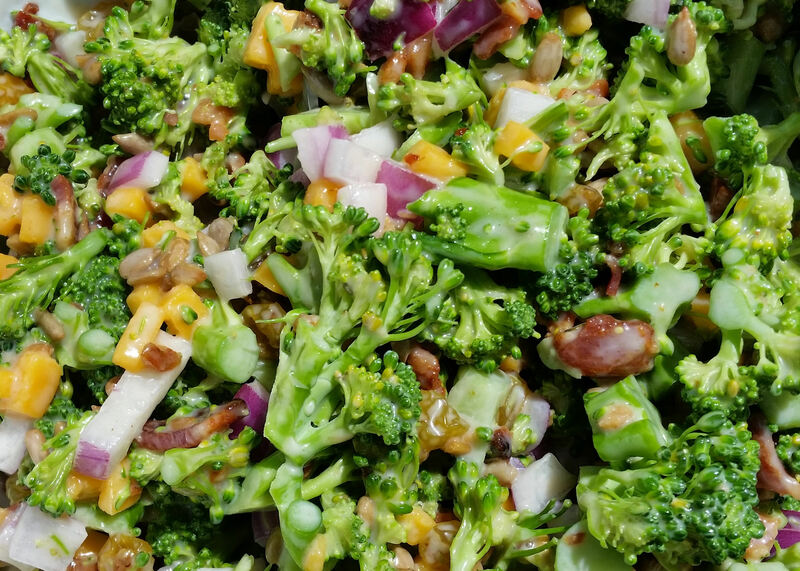 The combination of the sweet-tangy dressing, which contrasted nicely with the sweet raisins and the salty bacon, and the fresh, crisp crunch of the broccoli started a party in my mouth. I couldn’t stop eating it! Skeptical yet intrigued, my husband tried it and had the same reaction I did, and we fought over the remaining bites of the salad until it was gone. I never did get my friend’s recipe but was able to find the salad at my local co-op. They divulged that the dressing was made with mayonnaise, red wine vinegar and sugar, but they never gave me exact quantities, so I never tried to make it. It wasn’t until I saw this recipe that I attempted to make the salad, and after changing a couple things, I was thrilled that it turned out every bit as delicious as that salad from the party. And yes, my husband and I still fight over who gets the last bite. Rinse a head of broccoli and trim into smaller stalks. Discard the largest, thickest stalk and coarsely chop the remaining stalks and florets; place in a large bowl. Cook the bacon and allow to cool, then crumble or chop it into small pieces and add to the bowl. Add the red onion, raisins, cheese and sunflower seeds and mix well. 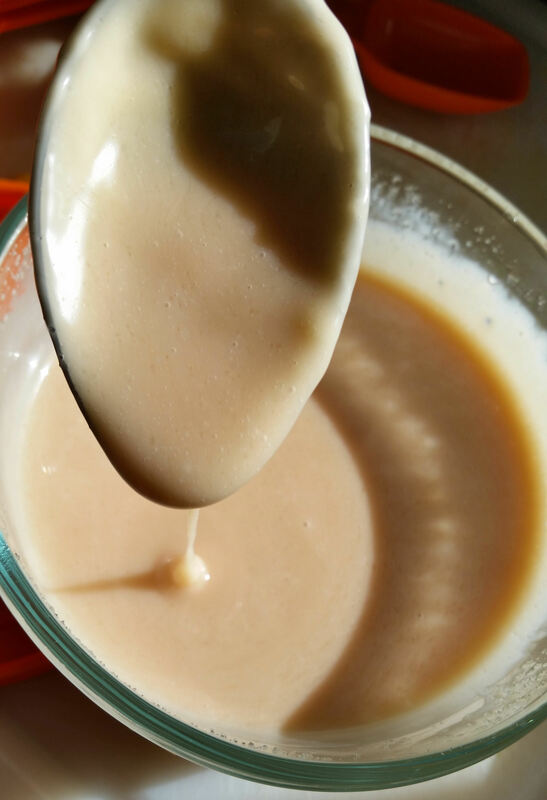 In a separate bowl, whisk together the mayonnaise, vinegar and sugar and adjust vinegar and/or sugar to taste. Pour dressing over the broccoli mixture and toss gently to combine. Add salt and pepper to taste. Serve chilled. Chop the broccoli stalks and florets into roughly ½-inch pieces and place them in a large bowl. 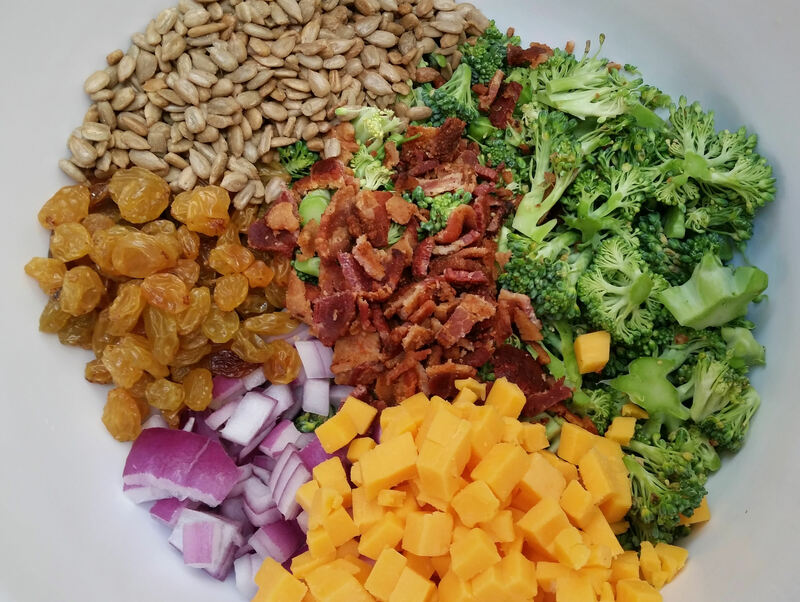 Chop the bacon, red onion and cheese into similar-sized pieces – roughly the same size as a raisin – and add them to the bowl. Add the raisins and sunflower seeds. 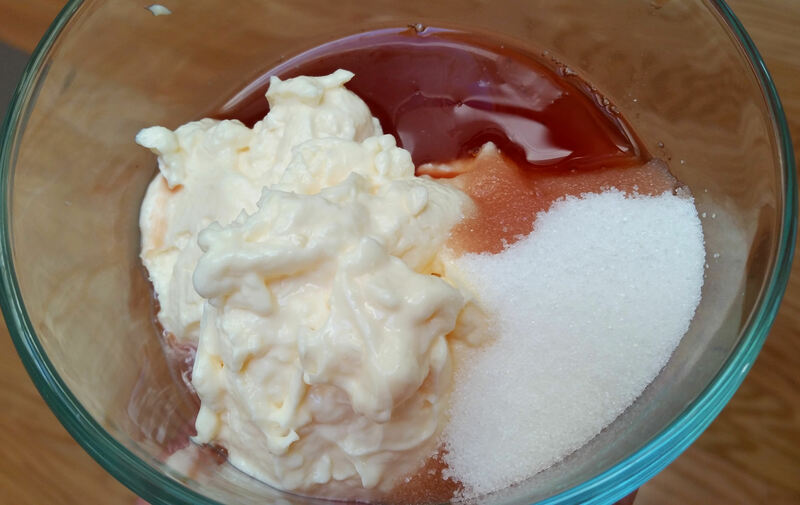 In a separate bowl, combine the mayonnaise, vinegar and sugar. Whisk the ingredients together well and taste. The dressing should be a little sweet yet a little tart. Different brands of red wine vinegar will affect the flavor differently, so you may need a little more vinegar or a little more sugar. Adjust quantities until the flavor is right for you. Pour dressing over the broccoli mixture and toss gently to combine. Adjust salt and pepper to taste. Serve chilled. Enjoy!